Political campaigns are fast-paced and very dynamic in nature with decisions having to be made very quickly and sometimes on the fly. 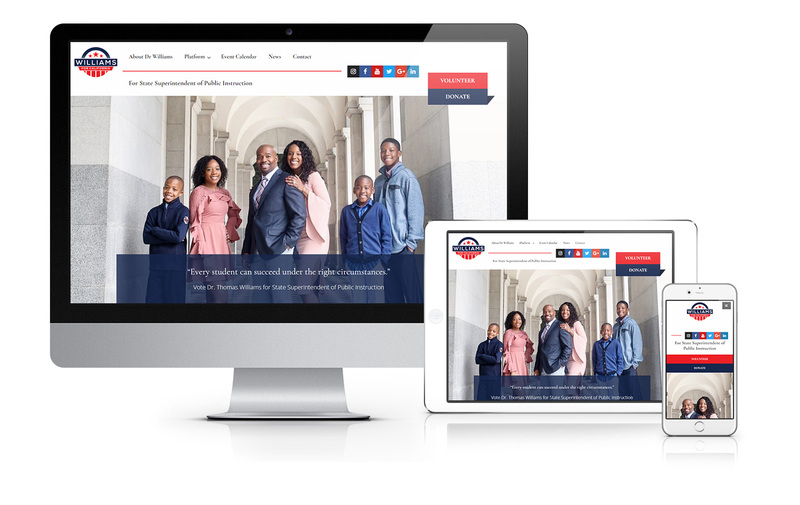 When Dr. Williams decided to run for California State Superintendent of Public Instruction, he needed a web presence that was crisp and professional. He also needed it fast. This site took us just under 30 days from concept to launch...no small feat considering we had no copy, no imagery, and no layout in mind. But, like everything else we do here at V-Squared Creative, those were just problems to solve. The result is a beautifully designed website that is functional and action-oriented.